Moore Engineering Company was founded in 1961 as a professional engineering firm specializing in mechanical and electrical engineering for the educational, commercial, healthcare, residential, and industrial markets. Our firm is dedicated to the application of the latest design methods consistent with sound engineering practice. 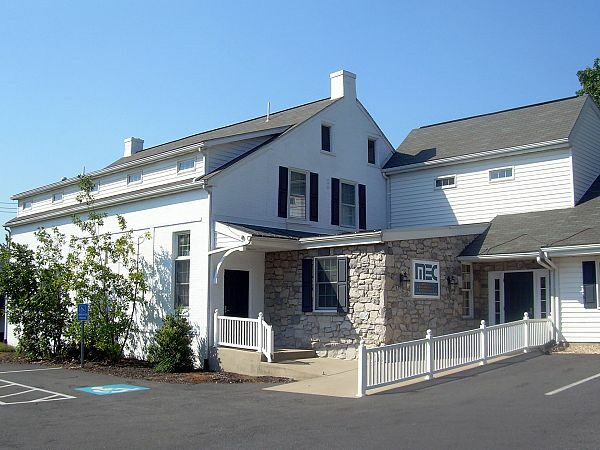 We maintain a full staff of mechanical engineers, electrical engineers, designers, draftsmen, commissioning agents, and other specialized technicians at our office in Lancaster, Pennsylvania. MEC holds professional engineering licenses in Pennsylvania, Maryland, New Jersey, New York, Massachusetts, Connecticut, Rhode Island, Virginia, West Virginia, Delaware, North Carolina, Michigan, Colorado, Texas, Georgia, and Florida. In addition, our reach extends to projects in other states and foreign countries where professional registration is not required. Our services have been provided to schools, universities, senior care facilities, churches, banks, municipal offices, retail centers, medical facilities, industrial buildings, laboratories, corporate headquarters, and hospitals…among others. Moore Engineering is active in sustainable design and energy efficient solutions. We have completed more than 30 LEED projects, and many more where sustainable concepts were employed without pursuit of LEED certification. Our office designed the MEP systems for Radnor Elementary School— the first green public elementary school in Pennsylvania. It was awarded the Governor’s Award for Environmental Excellence in 2001 and became a model for sustainable school design in Pennsylvania. Moore Engineering remains committed to the team concept by working closely with the owner and other design professionals to solve engineering problems with clarity and accuracy. We believe this collaborative philosophy is the foundation of our continued growth and success. Moore Engineering Company is dedicated to providing our clients with excellence in engineering service, backed by experience and founded on integrity.